I recently inherited a ton of cookbooks from my grandmother, and there were some gems in the collection. Perhaps my most exciting find was a 1963 copy of the Joy of Cooking. It’s well worn and I can tell my grandmother must have used it frequently. She was an amazing cook. 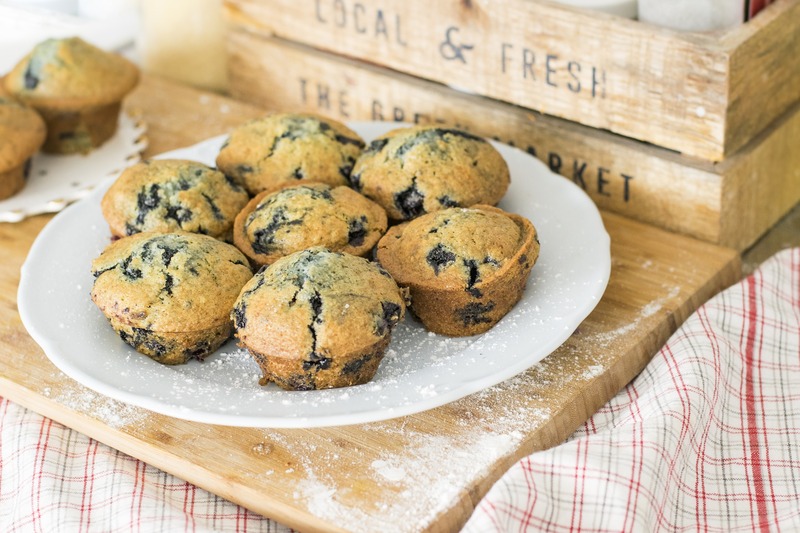 As I was thumbing through the book, I found an entire section on homemade muffins, with some classic old-fashioned tips to aid in making the perfect muffin. I decided to whip up a batch for breakfast, with the help of my 3-year-old daughter sous chef! And since I am a working mom, and don’t have a ton of time in the mornings to make breakfast, I decided to multiply my recipe to make extra homemade muffin mix. That way the homemade muffin mix is ready to go whenever I want muffins! 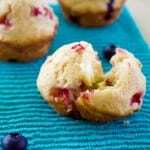 The recipe below is inspired by the classic, old-fashioned muffins that were made half a century ago. They’re not loaded with sugar like most things are these days, but they still taste great. This amount of muffin mix fits perfectly in a quart-sized mason jar, but if you have something bigger for storage, you can easily double or triple the homemade muffin mix recipe for a larger supply. 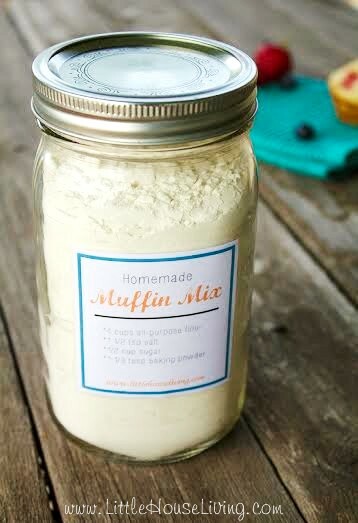 You can print a label for your jar like the one pictured above by clicking here: Homemade Muffin Mix Label and then clicking the print button on your browser. In a medium bowl, stir all ingredients together, until well mixed. Keep in air-tight container or clean mason jar until ready to use. 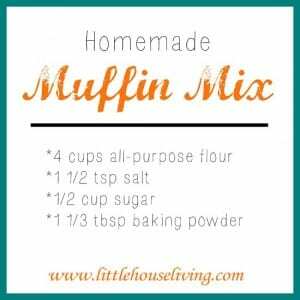 When you are ready to make muffins using the mix, here are the instructions. 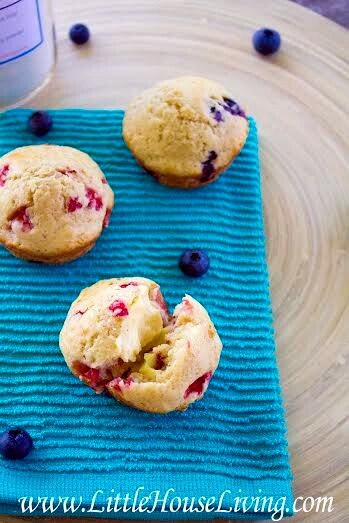 In addition, any of the variations below can also be added to the batter to make different kinds of muffins! 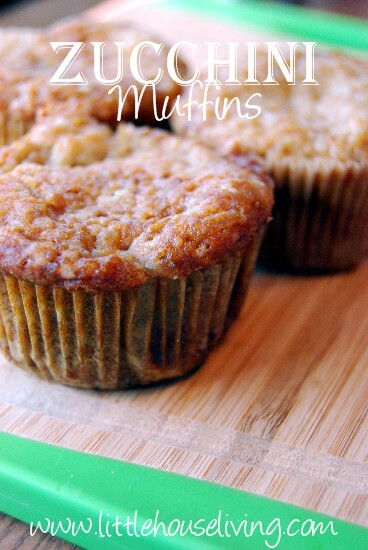 Here's how to make homemade muffins with your muffin mix! Preheat oven to 400 degrees. Add muffin mix to a medium-sized bowl. In a small bowl, mix together beaten eggs, melted butter, and milk. Add wet ingredients to the muffin mix, and stir to combine. Don't over-mix the batter, or it will toughen the dough. If you have a few lumps, that is fine. Pour into well-greased muffin pans, filling each cup about 2/3rds full. If you don't have enough batter to fill all of the muffin cups, add a few tablespoons of water in the empty muffin cups to keep the other muffins moist. Bake in preheated oven for 15-20 minutes, or until an inserted toothpick comes out clean. What kind of add-ins would you put in your homemade muffin mix? To clarify, in your directions you say to add a few tablespoons to the empty muffin cups — is this tablespoons of batter, or maybe water? She means water. By adding water to the empty muffin openings you will keep the empty muffin tin openings from getting too hot and smoking and/or causing the other muffins to dry out. Yes, I did mean water! Nice catch 🙂 I have adjusted the recipe to include that information. Adding water to empty cups not only helps to keep the muffins more moist, it also help them bake more evenly if all of the cups are filled. I love making dry mixes ahead of time. It makes baking so much quicker to have that extra ready to go. Thanks for linking up at Gingerly Made. I’m pinning this recipe to try out later. 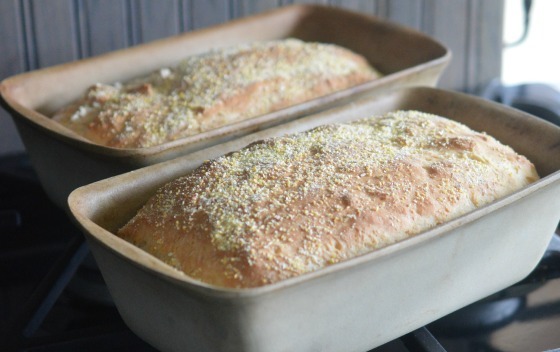 I have been using this recipe for years, and it’s wonderful! I found it in the Square Meals Cookbook by Jane and Michael Stern, given to me years back by my mother-in-law. It’s a great little cookbook with “old fashioned recipes” and I love it. The Sterns pulled their recipes from many sources, and said this dates back to the 1920’s, originally. That would make sense because as you so rightly point out, food was not made with heaps of surgar or even fats back then. Thanks for putting this out there. I hope people use it as it’s better for them than most muffin recipes. What a great way to start the day, a warm muffin and a cup of coffee. you have for living simply. Always looking for premade mixes to make baking easier. I just checked out a book at the library about healthy mixes – it has everything from breads to salad dressings and sauces and beverages that sounds very interesting. I did notice though there was not a muffin mix only a quick bread mix (which I guess is kind of the same) so now I will be able to try this one. Thanks – pinning. When I was a kid growing up in the 60’s the Joy of Cooking was THE book to have on your shelf! It had old fashioned ways of cooking because the author wrote this during The Great Depression and sold it out of her apartment. There is an official Joy of Cooking web sight that has the complete history along with recipes that are very good! Hi enjoyed all your comments. Will try the muffin mix and I must say I learned something new today. It was the water in the empty muffin cups, never thought of that. Thank you for this recipe. I had one years ago from my cooking class in junior high school in the late 50’s. I eventually lost it and am so happy to have this one now. How long would the dry mix store for? Thx! I can’t wait to try this. I prepare a dry mix for corn crumb muffins and it makes life so much easier. I love pumpkin and apple spice in the fall. Do you think I could use canned pumpkin in this recipe, or maybe applesauce? Any ideas how much? Thank you so much! Oh what a wonderful idea! I will be pinning this and mixing some up soon! What a lovely post – and a lovely blog! How lucky you are to have a vintage copy of The Joy of Cooking! My first thought was, what a great title and concept for a blog! I like the idea of being content with using what we have! Then it dawned on me that perhaps I like the title for another reason: both our blog titles both involve the concept of “making the most …”! 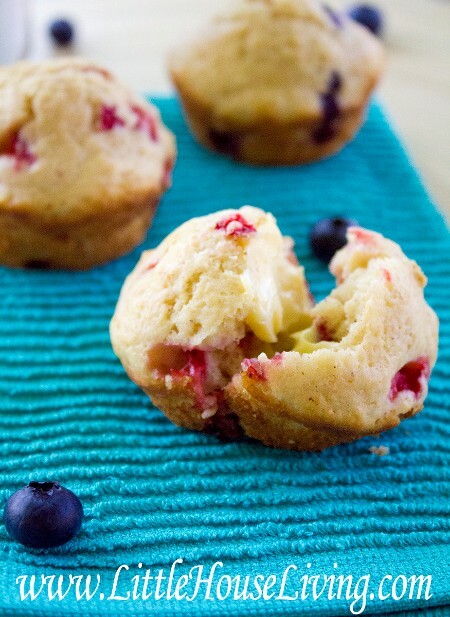 I’m following you now on Facebook, Pinterest and google+ – and I pinned this muffin recipe. I’m glad I found this at Motivational Monday today! I hope you will stop by my blog, “the most – – of every moment” some time soon, and say hello! What a fantastic find! How cool! I love the convenience of mixes, but I know that it’s much better to make things from scratch. Thanks for sharing this homemade muffin mix, so I can have the best of everything! I’ll be pinning list so I can make it when I have time. bacon muffins!! Why haven’t I thought of that! This mix sounds spot on and I will be making a jar or two and a batch or two! Thanks for sharing with us at Snickerdoodle Sunday! 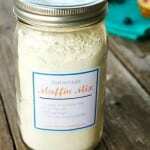 I love this recipe and would like to know if it can be vacuum sealed in a jar for to use later. My granddaughter loves to bake also and I know she would love doing this with me. Thanks! Thanks for posting this simple revipe. My imagination is running wild with different additions. I would try savoury muffins with the inclusion of grated parmesan cheese and a whole cherry tomato ( prick the tomato once with a toothpick, and be cautious eating the muffins hot at the tomatoes can really hold the heat). Maybe even a little chilli flakes or sliced chilli. As a fan of spicy food I think I will try adding some ginger and pumpkin and maybe ginger and grapes…. Chocolate and ginger…spinach and cheese…hmmmm now I am hungry. I am so glad you posted this recipe! Also, reading through the comments has given me so many delicious ideas! Thanks! Hi, Merissa ~ How fun to have your grandmother’s much-loved cookbook! I love homemade muffins! And I like the idea of doubling the recipe to have the mix ready to go. This would make a great gift, too! Thanks for sharing at the Merry Monday Link Party! Is there a way I can turn these into “pumpkin spice” muffins without adding all the pumpkin puree? Do they make like a dried pumpkin “flake”? I’m very grateful for the recipe! I’m also super excited to try it. The only problem I’ve come across is that there is just no way for this mix to fit in a quart sized mason jar. I’d be very thankful if you could share how you made that happen as I have about a dozen of them and was hoping to make a few mixes to store. These were nice. Added mashed banana and they came out moist! Thanks for sharing. I just did a Blog post myself about Homemade Muffin Recipes if you would like to check it out? I just made these and added chocolate chips. My batter was kind of thick. Seemed like it could have had more of a wet ingredient or something. They came out dry and bland. Left a bad taste in my mouth. What did I do wrong? I followed the directions exactly. I know I didn’t over mix it either…suggestions? I recently received my mom’s cookbook that was passed down to her from my grandma. I can’t wait to pass it down to my daughter one day. She and I absolutely love muffins; so this will definitely be our weekend breakfast. I love this! What a fun gift! Thanks for sharing this classic muffin mix recipe inspiration. I’m not a fan of overly sweet muffins myself (and it’s one of the reasons why I prefer a muffin over a cupcake, any day of the week!). Love that this recipe isn’t loaded down with sugar. Can’t wait to give this one a try! That’s so crazy the old recipe doesn’t have as much sugar. You would think they would. I guess adding the berries would add more. Thank you for sharing on Merry Monday! Hope to see ya next week! Please help!!! I made a huge batch double the recipe an then thought wow! Your getting ahead of yourself ( again) so give them a try make a batch! I made them exact to the recipe followed every step in not a novice either! The only difference i put in was two tbsp raspberry preserves and then baked them ? they came out very dense and sticking to the liners what happend? As of now I have a huge container of muffin mix…..
Hmm, I’m not sure? I’ve made this recipe many times and not had that issue. Perhaps the dough was too wet or didn’t bake long enough? Time is always at a premium in our house but we do like to make from scratch. Thanks for this recipe! I just mixed this up and agree its to much to fit in a quart mason jar. 1/2 of the recipe had it about 2/3 full. I had at 3/4 of a cup left over after dividing into 2 cups each for my containers. The ones that are too dry probably had too much of the mix. I noticed this when I was looking at the recipe. The recipe says to mix up the dry ingredients and store. THEN use 2 cups (which will probably be 1/2 the mix) to add to the 2 eggs, etc. if you used the entire mix and only 2 eggs etc. then your dough would be too thick resulting in a dry and bland muffin. This is amazing !! 🙂 Okay, I have some questions… Can I add vanilla or some other essence to make it vanilla flavored or something else ? And is there any other thing that I can add to make different types of cup cakes ? By the way, thanks for the amazing recipe !! lemon poppy seed. Should I use liquid lemon or can I use extract for both flavors? It will work just fine either way. The extract will give a stronger taste.